Hi friends! I am pretty darn excited about this one. The hubby and I (well mostly the hubby- a tad bit I) worked on making this little laundry nook more useful with storage, and cosmetically pleasing! With a smaller home I feel every square inch counts ya know?? Nothing was wrong with the before. Of course I was mostly craving a refresher after five years! At first we were just going to paint the walls (well I was going to, be he took over because I’m a terrible painter 🤫). Which lead to taking down the shelves, which led to me asking about cabinets. I have always wanted a linen closet so to speak, and a place up and safe from kids for cleaning products. And then I got a quote. You would not believe what the quote came in for just these TWO cabinets. 1,000$ kid you not. I puked. And then I told the hubby. He said no wayyyyy were going to pay someone 1,000 for just TWO cabinets. So then we pondered, and pondered, and pondered some more. And then one day he said those famous last words- “I’ll build them.” HE committed to spending time make ME (I mean us…) cabinets!!!!!! EKK!!! He had never build cabinets, nor did he know where to begin, but he did it. And if you ask me my thoughts, I couldn’t be happier! He wanted to use up wood we already had, and he found left over bead board from the home years ago. I love his creative touch with the bead board fronts, and inset doors, all the heart eyes! To keep down on the noise while washing or drying we could hang curtains to muffle the sound. It also works to quickly hide a bit of the washer and drier, and accumulations that come from a laundry room! The curtains are hung with pipe he spray painted black, and the curtains I have had for years from Pottery Barn called tie up shades! The natural basket is from a little shop I adore called The Dharma Door USA. There baskets are hand made by artisans at a fair trade! I love its texture, and how easy it is to carry a full basket of laundry one handed with baby in the other. You can find this basket here. The other basket shown here is from Steele Canvas. I love this family owned company located in Massachusettes and the quality of their baskets and trucks is impeccable. The light is from Schoolhouse. We needed something narrow for the doors to open, and without limiting cabinet space. With all that being said, I landed on this light! If you follow me on Instagram, you know I had a very hard time picking which finish to pick, but I opted for the all time classic- black. The paint is the same paint I used for our kitchen. After two years I am still so love with the color! Plus, to be completely honest, I don’t think there is a better quality paint out there than Farrow & Ball. And trust me- I’ve done a LOT of painting. Cabinet hardware is mostly from Cabinet Parts online. I wish picking out hardware wasn’t so hard! But let me tell you, that was SO hard! I went with oil rubbed bronze. I am head over heels currently for brass, but when it comes to things we will be keeping forevverrrrrr, I tend to stick with black or close to black because I do feel that never goes out of style. Lets hope I’m not wrong on that……! Well, thats it for now! Let me know if you have any questions friends! And as always- thank you for stopping by! You know, I have no idea why I wasted so much time and money on play dough from the store. You know- making those “quick” trips because we were out and the kids were begging. Just to waste money and time :(. And ya know- more plastic waste with all those yellow plastic tubs! Ugh! Learn from me- save some time and save some money! This is so easy it will blow you mind. Seriously. 4 teaspoons cream of tartar. Mix together all dry ingredients. Put mixed ingredients in sauce pan. Slowly add warm water and oil while heating on a medium heat. Stir continuously. If you are making one color you may add a touch of food coloring at this time. Continue stirring until dough forms a ball and becomes thicker. This took a few minutes. I hope this helps some of you mamma’s our there! I’d love you to tag me in your creations! Hey guys! I am going to whip this out quick and easy for you all! I have been using this DIY laundry detergent for gosh- over a year and a half now I believe? And I have only had to make it three times! Oh, my, gosh. I made the switch after my eldest son broke out in full body hives from an allergic reaction to a detergent I had used. I found this on Pinterest and have been in love ever since! Not only does it save you lots, and lots or money- but it has less dyes and chemicals than most larger brand detergents- and decreases plastic waste! I’d call that a win! One box Arm & Hammer Baking soda- Four pound box. I will add the last time I only found 3.5 pounds. They just changed packaging to plastic and decreased the quantity :(. Oxy Clean- 4lbs. You can buy one large- 3 lbs and one small 1 lb. Once you have the ingredients, you will need a very large container or a 5lb pale to mix it all. Now its time to get to work! Grate the 3 bars of fees-naptha bars into a bowl and mix all ingredients together. BOOM. That’s it! Use 2-3 table spoons per load. Does this work for hard water- yes! We have hard water! But for white I usually add something to make those whites whiter. Is it good for sensitive skin? Yup! Total cost- less than 15$. Hey you guys! So sorry I have been really lacking on the blogging these days! But by popular demand, I have for you a coupon code to Roolee! 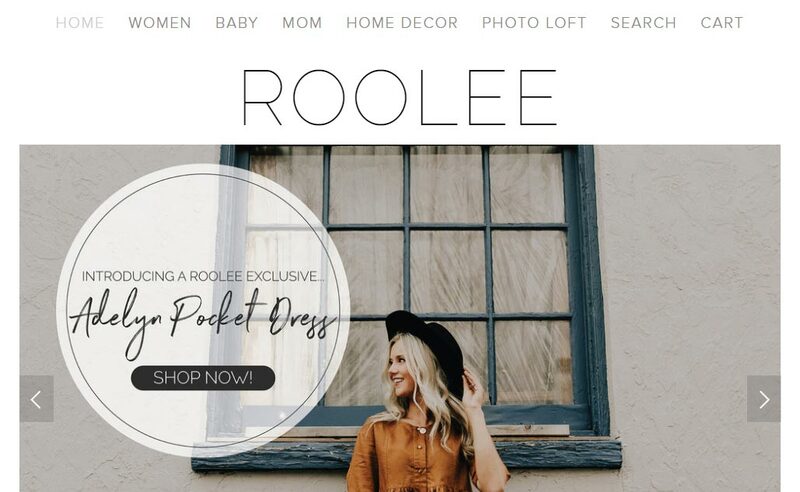 If you haven’t heard of Roolee, they are a family run business in Utah, and I have been head over heels since I found them! They sent me over a few items to show you all, and offered a unique coupon code just for my followers! Pretty cool right?! First off I have to share with you my new favorite skirt of all time! This mustard color high waisted beauty is a classic that I will certainly be wearing year round! Next, I would love to share these hoop earrings. I am not much of an accessory gal, but I think these have changed my thoughts on that.. LOVE! For the shoes, sure, its mid-winter with a foot of snow outside, but a girl can dream for longer days and summer nights can’t she?! Now for your coupon code!! Use WFH15 for 15% your entire order! I hoped this quick try on helped some of you, and happy shopping you guys! Hi guys! I thought I would make things easy and write a little post on my favorite from Grove, and my favorite scents! Mrs. Meyer’s is an easy favorite because its made with plant derived ingredients, essential oils, and no paragons, phthalates, glycol solvents, etc, etc :). 1. Rosemary! It is so natural smelling. Not overwhelming. Really, its juussttt right. 3. Lavendar. I am a big time Lavendar loving girl. And although this is amazing, I thought it would be a touch more… lavendary?! Is that a word? Probably not…! 5. Bluebell- Well, these one stumps me. I think it smell very florally and a touch to potent for this gal. 6. Honeysuckle- this one I have ordered before and almost couldn’t use it! It is much to strong for me. Much. 7. Again, very perfume like! 8. Geranium- please, do not open this one…yikes! I heard someone say this is like their grandma’s perfume, and that I do agree! (But not my grandma because she’s more hip than me! Just Incase she reads this 🤫🤭). And just a few quick mentions- I love these vitamins from Grove for myself and the kids! From prenatal vitamins, to probiotics, they have it all! My son especially loves these chewable probiotics :). I have switched to concentrate cleaners in glass bottles to not only reduce plastic waste, but because I love them! I think the cleaning power is amazing and for me the scents are just perrrrfectttttt. A few of my favorites include- Tub and Tile cleaner in lavender & Thyme concentrate by grove, their all purpose Orange and Rosemary, Lavender & Thyme floor cleaner, and last but not least- the BEST glass cleaner- Lavendar & Thyme! This year I want to start the years off fresh. Every year, I make the goal of decreasing clutter and finding ways to spend less time running errands and spending precious time in stores rather than at home. I know I talk about Grove Collaborative every few months, but it is because I love their choice of products, and ease with free delivery to the home. This concentrated laundry soap is a grove exclusive and I am so impressed! Plus the scent is amazingggg. This time I thought we would offer something a little different for signing up. If you’re wondering what in the world you would want to spend 20$ on to get your first order in, let me list a few of my quick favorites! The microfiber cloth, vitamins for me and the kids, chap stick, etc. etc.! I usually recommend the grove concentrate for almost everything in the home (especially to clean our greasy stove), so the best part is you get that FREE with signing up! Also, when new customers spend over 39$, you get a free sink tray! I love mine!